During the chaos of the Second World War, a Japanese diplomat working in Lithuania concocted a desperate plan to save as many Jews as he could, ultimately securing the safety of some 6,000 Jewish refugees. A powerful film depicting this important but lesser-known story will have its Tennessee premiere at an upcoming event at Malco’s Paradiso Cinema, co-sponsored by Temple Israel, Jewish Community Partners, Japan-America Society of Tennessee, Inc., and the City of Memphis. The screening is part of Japan-Tennessee Week celebrations in Memphis. 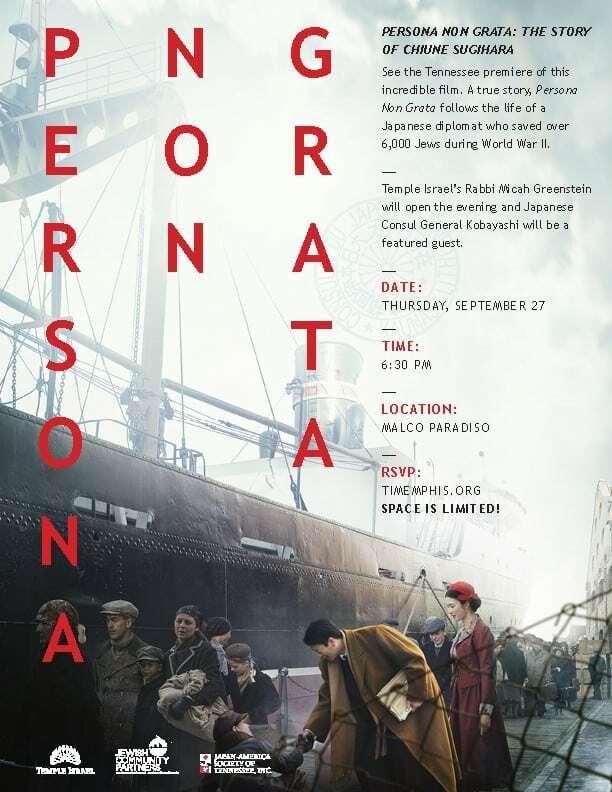 Persona Non Grata: The Story of Chiune Sugihara will be screened Thursday, September 27, at 6:30 P.M., at Malco’s Paradiso Cinema, after a brief program featuring Temple Israel Rabbi Micah Greenstein and Japanese Consul-General Kobayashi. Risking not only his prestigious job but also his family’s very lives, Vice Counsel Chiune Sugihara ignored restrictions enacted by his government and issued visas to an estimated 6,000 Jews, allowing them to flee the Nazi occupation of Eastern Europe to Japanese territory, and on to freedom. Vice Counsel Chiune Sugihara poses in his Lithuanian office in the late 1930s or early 40s. 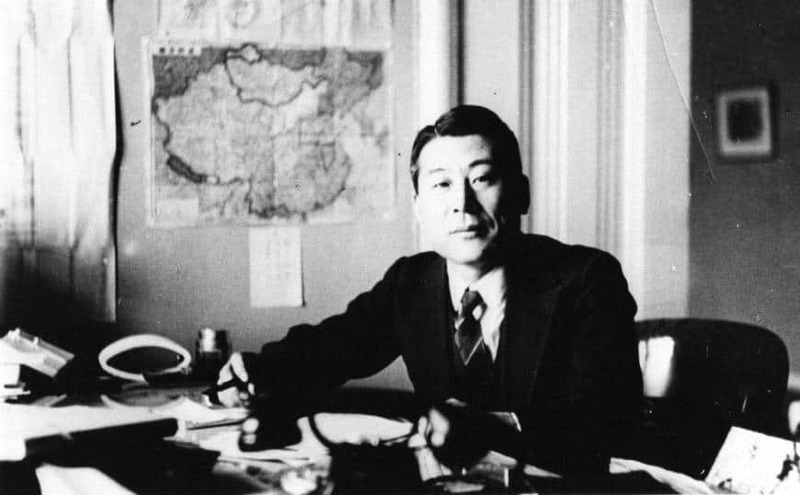 Sugihara hand-wrote visas, spending 18–20 hours a day on them and producing a month’s worth of visas each day, until he was forced to leave his post before the consulate was shuttered in 1940. By then he had granted thousands of visas to Jews, many of whom were heads of households and legally permitted to take their families with them. According to witnesses, he was still writing visas as he traveled from his hotel and after boarding the train, throwing visas into the crowd of desperate refugees from the train’s window as it pulled away. In 1985, the State of Israel honored Sugihara as one of the Righteous Among the Nations for his actions. He is the only Japanese national be so honored. Laura Linder, President and CEO of Jewish Community Partners, sees the event as a wonderful example of community collaboration, not only within the Memphis Jewish community, but across cultures.